Colorado Parks and Wildlife marks Colorado Day, the commemoration of Colorado's acceptance into statehood, with free park entrance at all 42 state parks, Monday, Aug. 1, 2016. "Colorado Day is an opportunity for everyone to get outside and experience the diverse natural beauty and recreational activities that our 42 state parks and 350 state wildlife areas have to offer," said CPW's Information and Education Assistant Director, Gary Thorson. "This day is also the agency's opportunity to say 'thank you' to all of our residents and visitors who enjoy our state parks and for their continued support." 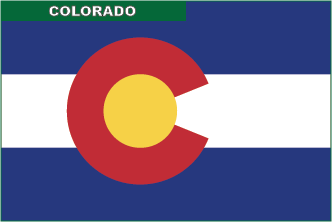 Colorado was first recognized as a state Aug. 1, 1876. The first addition to the Colorado state park system, Cherry Creek State Park, emerged some fifty-six years later. This Colorado Day, celebrate the statehood of Colorado in nature. Come play all day, watch the sunrise, float a boat, view wildlife, catch fish, ride or hike trails, explore, learn, picnic or climb. Most Coloradans live less than 30 minutes from a state park. Go tohttp://cpw.state.co.us/placestogo/parks/Pages/parkMap.aspx to locate a state park near you and plan a visit to enjoy a variety of recreational activities. The state parks, scattered throughout Colorado, showcase the state's diverse landscapes, including the prairies of the eastern plains at John Martin Reservoir State Park, the alpine beauty of the mountains at Sylvan Lake State Park near Eagle and the unique geological landscapes at Roxborough State Park. Colorado's rivers at James M. Robb-Colorado River State Park near Grand Junction, the Arkansas Headwaters Recreation Area in Salida and Yampa River State Park near Craig offer serenity and adventure. More outdoor fun is waiting at reservoirs at Trinidad Lake State Park, North Sterling State Park, Lathrop State Park near Walsenburg and Navajo State Park near Durango and others. See the 2015 Parks Guide, Park Finder and State Wildlife Area Mapfor more options. Park entrance fees are waived, but activities like fishing and camping will still require a valid license and permit.